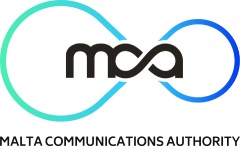 A study commissioned by the Malta Communications Authority (MCA) in July 2016 has revealed that more than three-quarters of consumers across all age cohorts in Malta and Gozo are using the Internet. Whilst a laptop/desktop persists as the main device for accessing the Internet by the majority of internet users, smartphones and tablets are growing in popularity with increases of 29% and 17% respectively over two years. Interestingly, the study shows that more and more consumers are resorting to the Internet during their purchasing journey. In fact, 70% of users resort to the Internet as the first port of call for searching for products and/ or retailers before purchasing, regardless whether the transaction is eventually completed online or in a brick ‘n’ mortar environment. Only 19% claim to physically visit shops to obtain information prior to buying a product or service. In addition, the study also shows that 66% of millenials who access the Internet on their mobile, are reaching for their smartphones whilst shopping in physical shops for further information on the products of interest and alternative prices. The study also sheds light on consumer behaviour across social media channels. Consumers today are also using the Internet to engage with retailers across multiple and diverse channels. 87% of internet users are active on social media, especially Facebook. Apart from the traditional activities of status updates and the sharing of photos and videos which continue to rank high, consumers are also eagerly using social media channels in their purchasing decision-making process. Around 1 out of 6 consumers follow favourite brands and look-up peer and expert reviews prior to purchasing, whilst more than half of those active on social media, like and/or share a product, brand or retailer and expect to be informed of promotional offers. The study also found that 31% of those active on social media, post positive and/or negative comments about their experience with a product or retailer, and hence influence other consumers’ purchasing decisions. Another interesting trend that emerged from this study is that around 78% of internet users have become digital buyers, with the majority claiming to have carried out an online purchase in the three months prior to the survey. This could be attributed to the level of service that they are getting when purchasing online, as the majority of digital buyers claim to be satisfied with the overall online experience. More than half of digital buyers prefer to use eCommerce marketplaces to conduct their initial research, with 42% of these turning to search engines as a secondary option. Only 19% initiate their shopping process on search engines. The younger generations are the ones more likely to refer directly to a retailer’s website, although not to the same extent as they do with online marketplaces and search engines. The growth in eCommerce is also evidenced in the sheer number of consumers that are purchasing online and the frequency of online purchases. The number of consumers that are purchasing online around two to three times a month has increased to 33% from 20% in 2014. Those that purchase online on a weekly basis, now reaches 13%, a significant increase from the 3% registered in 2014. 80% of digital buyers prefer a laptop/desktop as the device of choice. This is manifested across all ages, especially amongst the older Baby Boomers (93%) and Millenials (85%). Interestingly, 74% use more than one device to shop online - more than half are comfortable using smartphones, whilst 31% are at ease with tablets, for completing a purchase. Whilst millenials lead the way with smartphones, tablets are more popular with Baby Boomers. This shows that shoppers are probably starting to appreciate the convenience that mobile devices offer, that of shopping when and where they want. This notwithstanding, slightly less than a third of digital buyers that are purchasing online are purchasing from local websites, with sales mainly restricted to event tickets, flights and accommodation. On a positive note, however, there has been a general increase across many of the items bought locally. In addition, it is interesting to note that 80% of digital buyers purchasing online would be encouraged to buy from local websites if the delivery was offered for free and/or done more rapidly. On the other hand, online buying from foreign websites remains strong. The items mostly sought and which look set to keep on increasing year-on-year, are clothes and shoes at 77%, holiday accommodation and flight tickets, both at 74%. The items which have significantly increased are the other travel arrangements (car hire, excursions, trains/buses, etc), from 12% in 2014 to 59% and events, from 12% in 2014 to 47%. One of the main reasons why a number of consumers are not purchasing online is the inability to see and try on items before buying. Other factors that inhibit digital purchases are mainly related to delivery and lack of familiarity with completing an online transaction, and these have, more or less, remained the same over the years. However, security issues and lack of interest seem to be declining year-on-year. The field-work for this study was undertaken in July 2016. The sample population was stratified proportionately according to the actual population, by gender and age. The instrument used in this study seeks to assess the digital capabilities whilst exploring attitudes and buying behaviour preferences by consumers in Malta & Gozo.